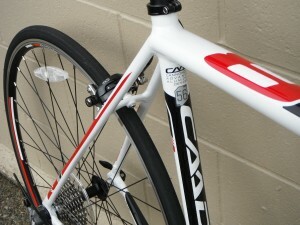 Cannondale CAAD 8 alloy frame with carbon fork. 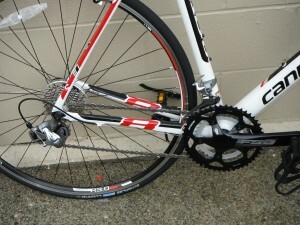 Shimano Tiagra 10 speed drivetrain with FSA compact cranks. 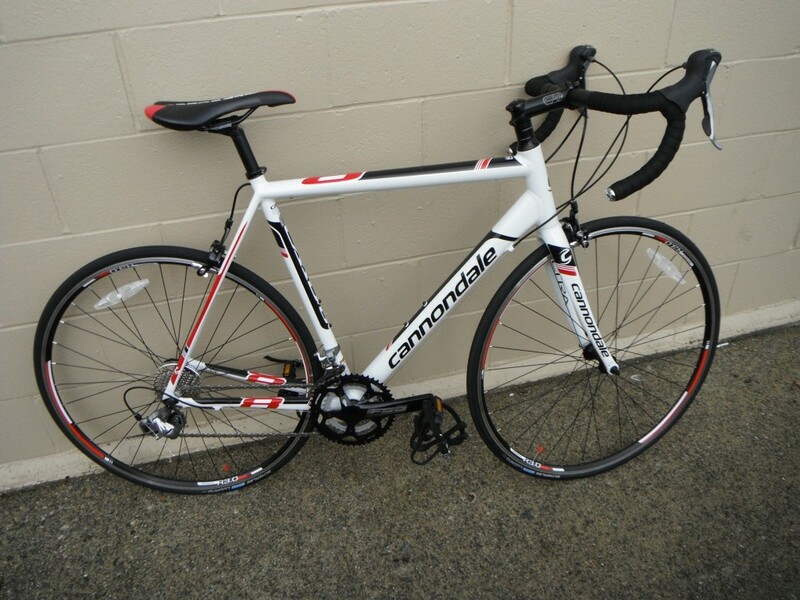 Get outside and start exploring the local roads with Cannondale’s CAAD8! It gives up-and-coming riders technology, function and style for years of great fun. Its svelte Cannondale aluminum frame features a shaped down tube with a large-diameter, thin-wall profile giving the optimum blend of lightness and stiffness for awesome efficiency. 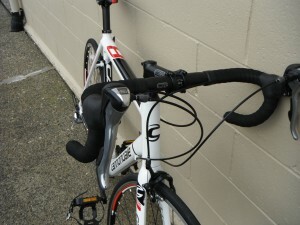 The frame geometry is dialed in and there’s a vibration-damping carbon fork to smooth rough pavement. 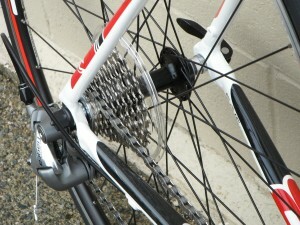 In the components department you get an easy-rolling wheelset, a precision-shifting 20-speed drivetrain with compact gearing for easier climbing and a nice bar, stem, seatpost and seat from Cannondale. Have fun out there!